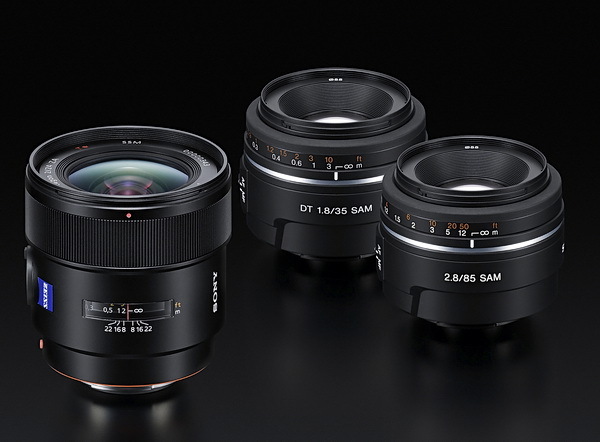 Sony re-introduces the Carl Zeiss 24mm F/2, and lifts the veil on a couple new additions to the Sony lens lineup, the 85mm F/2.8 (weird combo) with plastic mount, and the 35mm F/1.8 (Nikon inspired) also with a plastic mount. The two lenses are known as "easy choice" lenses, I suppose because they're cheap! I'll estimate the US price at around $250-300 for the easy choice lenses. The special use Carl Zeiss 24mm will more than likely sell for about $1600, an awful lot these days, so let's hope it's really good. I'll have a review of these lenses when they come out, which is supposed to be this fall. Check out the survey results below. The percentages for each lens at first glance appear too high, but includes the three lens choices that were possible for each person taking the survey. 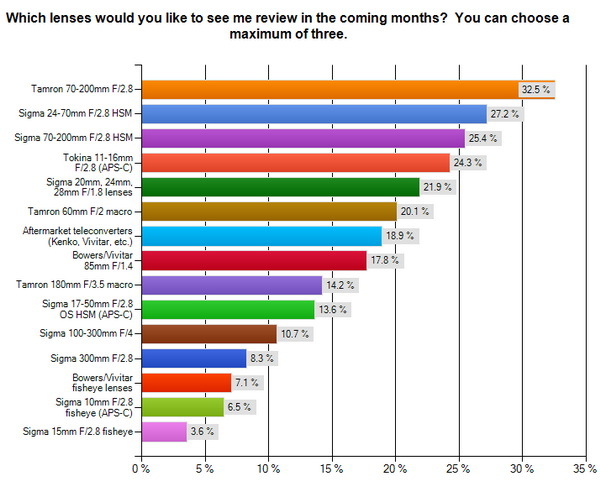 Clearly the Tamron 70-200mm F/2.8 is the most popular lens in the survey, and will get a concise review, along with the Sigma equivalent (and the teleconverters) for the lenses. 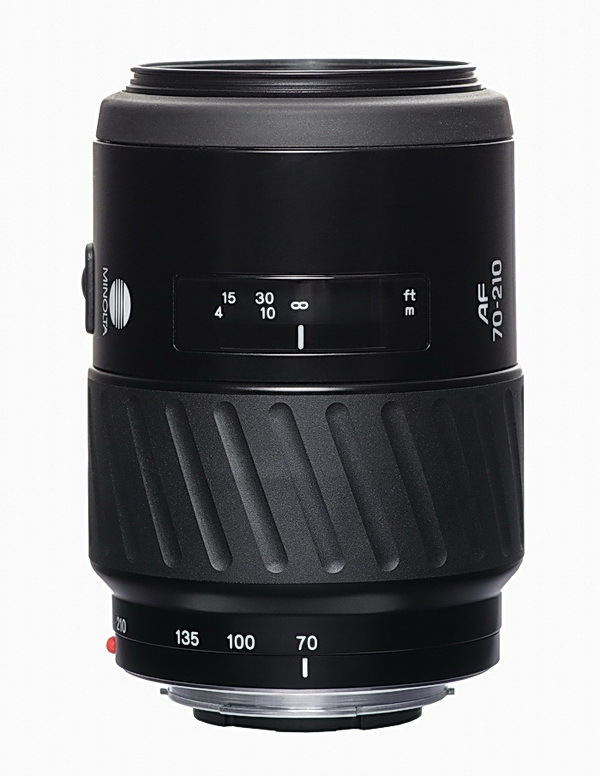 I'm also going to do a Sigma 24-70mm HSM review based on the interest here. I'm surprised more people weren't interested in the fisheye lenses, especially for the APS-C cameras. I thought about reviewing one of those, but it looks like it might be in vain, so the heck with it. The Tokina 11-16mm F/2.8 was high on the list, so that will probably get a review too. There doesn't seem to be much excitement in the Sigma 300mm and 100-300mm lenses, so those will go on the back-burner indefinitely. Weird, but the Tamron 60mm F/2 macro got a lot of hits, so that will certainly be considered in the future. I'll probably end up reviewing everything from the Bowers/Vivitar 85mm lenses on up to the top. Funny, but there were several people that wrote in they wanted the Minolta AF 28-85mm F/3.5-4.5 lens reviewed. I did that one, it's listed on the lens review page. It's also the one I smashed to pieces for the dirty lens article. Maybe they meant the 24-85mm lens? A couple of people wrote that one in too. The Sigma wide angle F/1.8 lenses might get a review also, but not right away. Most written comments were for the Minolta prime telephoto lenses, like the 200mm F/2.8 and 400mm F/4.5, but also included a number of requests for accessories reviews like flashes, filters tripods and bags etc. The Sigma 50mm HSM and 85mm F/1.4 got a few votes too. I'd like to do a review of the Sigma and Minolta primes, but I'm not sure about reviewing the accessories, well maybe some stuff when I have time. There were many positive comments and good ideas posted. Again, thanks to everyone that took the survey, and to all the visitors in general. If you would like to help support the site, go here for ideas! There were 426 total responses, with about a third of the responders using the comment box. Thanks to all of you that spent time taking my survey. I'll post the results later this week. I received so many written comments it'll take me a couple of days to read them all. I realize I forgot a couple of interesting lenses to include, like the Sigma 50mm F/1.4 HSM, and new Sigma 85mm F/1.4 etc. I now have a couple of new toys from B&H Photo. I'll be doing a complete review of the two new lenses, and a comparison review between the e-mount 18-55mm and the (alpha mount) kit 18-55mm lenses. I'm not going to do a regular review of the cameras, as there are very good reviews out there already. However, I will be doing some comparisons with the NEX cameras and Sony A700, like ISO and resolution comps etc. just to see what the differences are. I'm starting to work on that stuff right now, and should have a review page up in a few days. 7/16/10 Take new survey, now closed! This survey was closed by accident for a couple of hours right after I opened it, everything is ok now, and you can take the survey. Since I'm pretty much out of lenses to review at the moment, I'm putting up a survey to see what lenses people are most interested in, and then maybe I'll review them. The survey is only one multiple choice question, plus a comment box at the bottom in which you can write in something you want me to review, or maybe an article about a subject related to photography in general. Click here to take survey Done! Please be sure to pick at least one box, but not more than three boxes, otherwise when you hit the done button you'll get that message at the top, and you won't be able to get out of the survey. Thanks for taking the time to do this. Hopefully, it'll help me spend my time more wisely, and make the site more useful. Check out the latest, and last Minolta lens review, at least the last Minolta lens I have on hand to review. The Minolta AF 70-210mm F/3.5-4.5 turned in a so-so performance. It really looks better at the long end than the much more popular Minolta AF 70-210mm F/4 beer can, but at the short end, things start to look awful as you move away from the centers of the image. Out of focus background highlights are very smooth at the long end, even wide open, and look slightly better than the beercan. If you plan on using this lens at full zoom, I would recommend it, (but don't pay very much), as it's reasonably sharp wide open in the centers, the image periphery is relatively sharp, and it has a smooth bokeh. I used the stamp subject for this review because I didn't want to deal with massive heat shimmer, (prevalent this time of year in Tucson, AZ), which messes up the shots, especially at longer focal lengths. Don't compare the other stamp crops, like the 200mm zoom shoot out with these, as they were taken at a different distance, with possible different exposure values. Also, I used the A900 for the review, with the usual A700 macro shot. If you want to know how the corners look on an APS-C camera, just look at the mid-level crops, they were taken at the approximate APS-C corners. I'm trying to avoid using the A700 too much, as it's about worn out, and Sony doesn't have anything to replace it with yet. The retail price of this lens was about $376.00 fifteen years ago, that's roughly $530 in today's money, so the lens was rather expensive back in the day, maybe more so than the beer can. Although the price of this variable aperture zoom is pretty cheap on eBay now, I wouldn't buy it over the constant aperture beercan if you're in the market for a zoom lens with this range. The Sony NEX system is shipping now, but I don't see the NE-5 with the 16mm lens as being available in the US right now. I've added a link above to B&H Photo for the camera and kits, and the link below that on the bottom right is to Sonystyle.com, so you can see what's available for the system, and the prices. 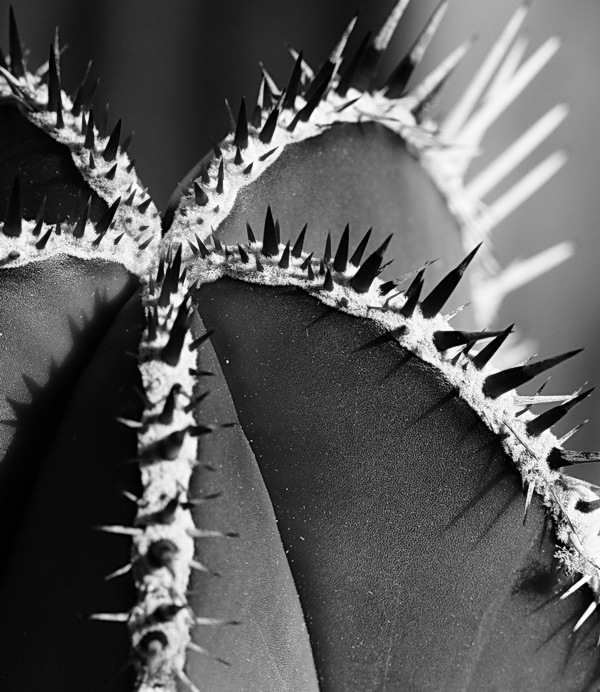 The image below is the top of a Mexican fencepost cactus, taken with the A900 and 100mm Sony macro lens. You'll notice most of it isn't in focus, which is intentional, although I don't think I could've put everything in focus if I wanted to, even at F/32. I converted it to B&W because I thought the original green color was a bit much, and the absence of color would accentuate the shapes a little more. What do ya think? I'm working on the Minolta AF 70-210mm F/3.5-4.5 lens review right now. It's looking pretty interesting, and will offer a few surprises. I should have it ready in a week or two. A900, Sony 100mm F/2.8 macro, ISO 200, F/8, 1/400sec. 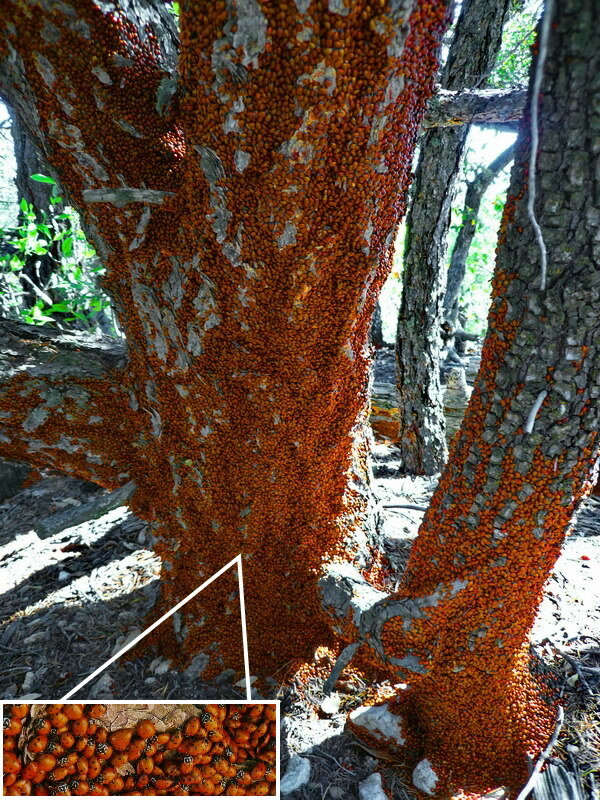 Wow, check out the massive swarm of Ladybugs sitting relatively motionless on the bark of a tree in the mountains. This is not the only tree filled with the bugs, there were a whole bunch of trees with this many, and hundreds with less than this. The trunk of the tree below is about 6' (1.8m) from the top of the picture to the bottom. I used the Panasonic FX100 for this shot. The top part is not in focus because I was too close to that part of the tree, pointing the camera down. This picture was taken a couple of months ago in the Catalina Mountains north of Tucson, around the 7000' level. Happy Independence day folks. Hopefully some of you will be able to vacation out west in the national parks this week, and this summer. Although you may not have a choice, you should try to avoid Yosemite valley and the Grand Canyon south rim village this week unless you love traffic jams and hoards of people. I forgot to include a homepage link to the Minolta AF 80-200mm F/4.5-5.6 shutter cap review, which I finished a few days ago, so here it is. This lens is better than the 35-80mm, but neither one is worth buying if you have other, more modern zooms, like the kit lens or 55-200mm. I mention in the conclusion that the 80-200mm might be good enough to use for emergency purposes if you can get it for next to nothing. It's very small, so it wouldn't take up much room. It also might be a good lens to take with you when you're doing a photo shoot in a place where you think you may be attacked or robbed---I had to take pictures of a house in a bad area of town (from the security of my car) one time for a domestic dispute case, and should have taken something like this lens, (I took my CZ 16-80mm and used it at 80mm). I put the April homepage entries into the archives in case you're wondering what happened to an article or review. I've been regularly checking out Hobo Matt's website. He's walking across America while pushing a baby carriage filled with all his daily needs, and a sign attached to the front saying "we may never meet again." His website says he's doing it for no reason at all, much like Peter Jenkins did in the 1970s. I read Jenkins' book, "A Walk across America" years ago when it first came out, then followed it up with William Least Heat-Moon's "Blue Highways." Both are "must reads" if you have a predilection for travel, are easily bored with the daily grind, and don't really have any money, all pretty much my issues! Read Martha Irvine's AP article about Matt's endeavor here. This guy has all the high tech gadgets to post pictures to his website instantly, unfortunately, his camera phone produces horrible image quality. I see a rather deep magenta halo around the periphery of every picture that has a large area of even tone, like the sky. I hope he's only using his camera phone for the website picture posts, and has a real camera to properly record his travels. The journeys mentioned above (and no doubt similar journeys across the world) should be on everyone's list of things to do at some point in their life, although I suppose if everyone did it, it wouldn't be special, and sitting at home for your entire life and never going anywhere would be considered exciting. I slightly prefer Jenkins' chronicle over Moon's , but I greatly prefer Moon's method of travel, which is by Ford Econoline van. I can sleep in the car, but I'm not real big on sleeping by the road in a tent, or getting people to let me come in their house to stay the night---too weird for me.